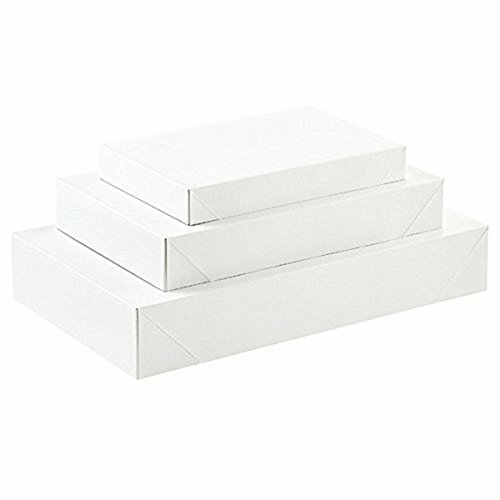 10 magnificent high quality white gift boxes great for any gift giving occasion. Three different sizes for all types of gifts. Value Pack come with 2 Robe Gift Boxes 17 x 11 x 2 1/2 inches (43.18 x 27.94 x 6.35 cm), 3 Shirt Gift Boxes 14 1/4 x 9 7/16 x 1 7/8 inches (36.20 x 23.97 x 4.76 cm) and 5 Lingerie Gift Boxes 10 5/8 x 7 3/4 x 1 1/6 inches (27 x 19.68 x 2.86 cm). Endless Art US presents the future of the gift box. No more searching for wrapping paper, ribbon, or tape to wrap your gift. It is an all in one solution for your gifts. These elegant gift boxes enhance and transform your gift into a beautiful presentation. Our trendy designs add a personal touch to the gift box. The “EZ Gift Box” comes flat fitted in its solid lid with a gift tag and tissue included. Its clever patented design enable a simple and an instant pop up gift box, becoming a beautiful gift in seconds. The Sienna collection design is a witty play of a mixture of gold, silver and white that enhances your wedding gift. 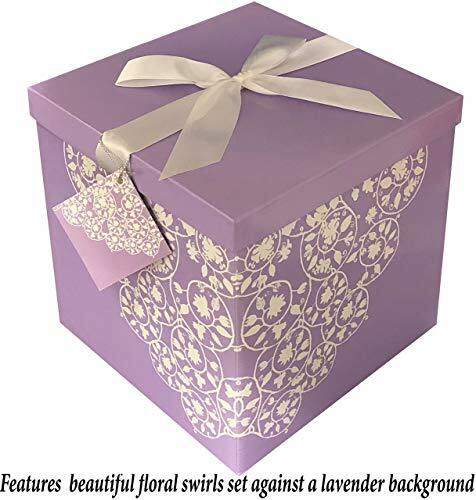 The white satin bow mounted on the silver lid adds elegance to the box. 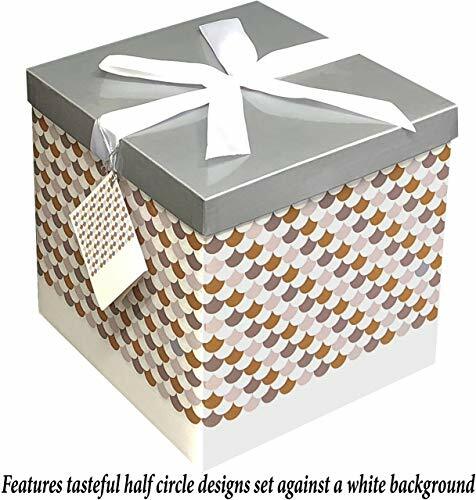 The Endless Art US Cassandra Collection 10" Gift Box features an original contemporary design that is certain to become a beautiful and elegant gift. Ideal for gift giving, the Cassandra is large enough to fit a wide range of items, including, but not limited to; candies, small clothing accessories, candles, perfume/cologne, and jewelry. The Cassandra comes compact and can be easily stored on a bookshelf or in a desk drawer when not assembled. The assembly itself is a simple 3 step process, the box pops up instantly in seconds! No glue or tape required Folding instructions are indicated via numbers engraved on each of the 4 flaps on the bottom of the box. The Cassandra is made from well-managed forest paper and comes with a ribbon, tissue paper, and gift tag, making it the perfect choice for birthdays or an excellent household accessory for home staging or simple decoration. High quality, beautifully themed, and easy to use, the Cassandra 10" is the perfect gift box choice. Please Note: due to computer monitor and phone settings, image colors may slightly vary. Darice's Set of Three Paper Mache Boxes come nested inside each other. They are 8, 9 and 10 inch sizes. This value pack paper Mache boxes are perfect for embellishing. Endless Art US presents the future of the gift box. No more searching for wrapping paper, ribbon, or tape to wrap your gift. It is an all in one solution for your gifts. These elegant gift boxes enhance and transform your gift into a beautiful presentation. 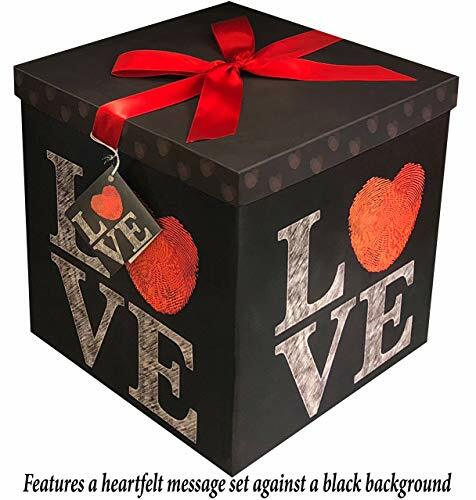 Our trendy designs add a personal touch to the gift box. 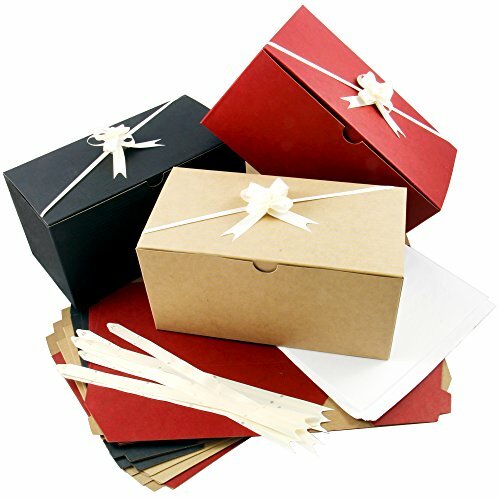 The “EZ Gift Box” comes flat fitted in its solid lid with a gift tag and tissue included. Its clever patented design enable a simple and an instant pop up gift box, becoming a beautiful gift in seconds. With the Amrita Collection you will have a special experience when giving a gift with its original touch. The black chalkboard background enhances the accents of any theme you choose. Themed for several occasions. With designs such as Birthday, Love, Men, and Thinking of you. The satin bow mounted on the lid adds elegance to the box. Enjoy giving? Use the complete gift box sets of MyPresentForYou. Wrapping your gifts is a breeze with this cute set of Gift Boxes! 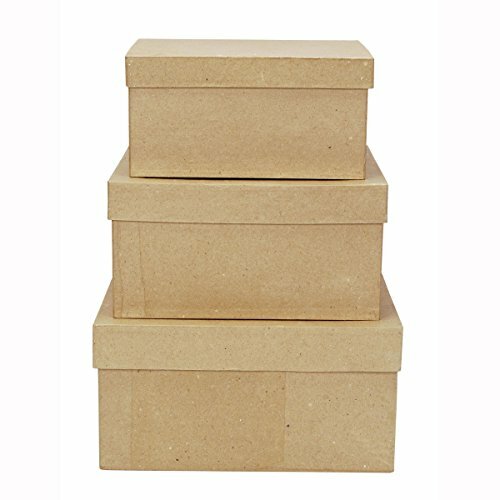 Use these boxes to house your favorite gifts including cupcakes, cookies, baby items or Spring gifts like succulents, decorative candles, scarves and more! All in one. All you need to wrap up your gifts, cookies, bakery products or small apparel in ONE SET: You will receive 10 gift boxes PLUS 10 shiny butterfly pull bows AND 10 sheets of tissue paper. Quality is key. Our gift boxes are sturdy and easy to fold. Beautiful butterfly pull bows The shiny butterfly bows are made of smooth poly ribbon. They come as flat strips for easy storing and come up like magic by pulling the two ribbon ends. Tissue paper. To prevent damaging your presents or goods use the tissue paper to wrap around it. Reusable. Gift boxes and butterfly pull bows can be reused. Satisfaction guaranteed with MyPresentForYou. Our company's mission is to make you feel great about giving. We want you to feel great about our products and offer a "No questions asked, money back guarantee". TIER PRICING APPLIES. 5% off for 2 or 3 items, 10% off for 4 or more. Click on the 'Add-to-cart' button to purchase NOW. 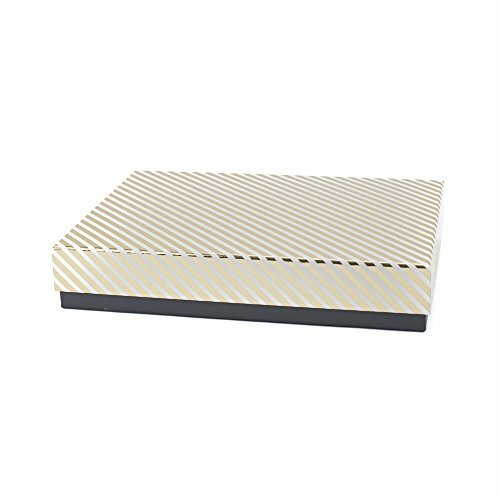 Looking for more Present Box similar ideas? Try to explore these searches: Dive Rite Cam Strap, Drop Pink Sapphire Pendant, and Great Pearl Necklace Earrings. Look at latest related video about Present Box. Shopwizion.com is the smartest way for online shopping: compare prices of leading online shops for best deals around the web. 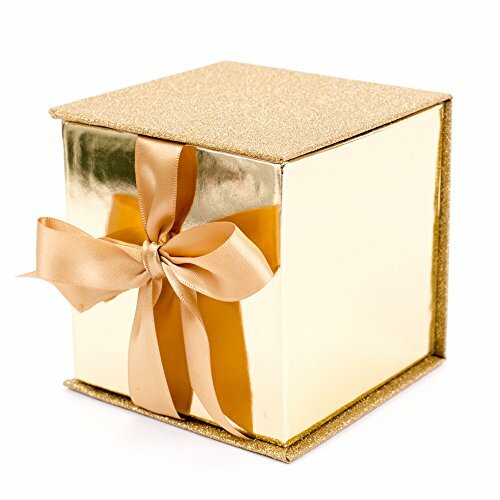 Don't miss TOP Present Box deals, updated daily.